Now we will add a menu to the application that allows you to select the video file to play. 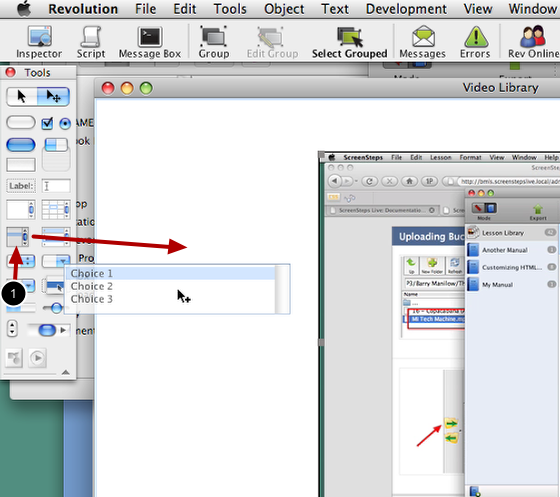 Click on the Edit tool in the Tools palette. 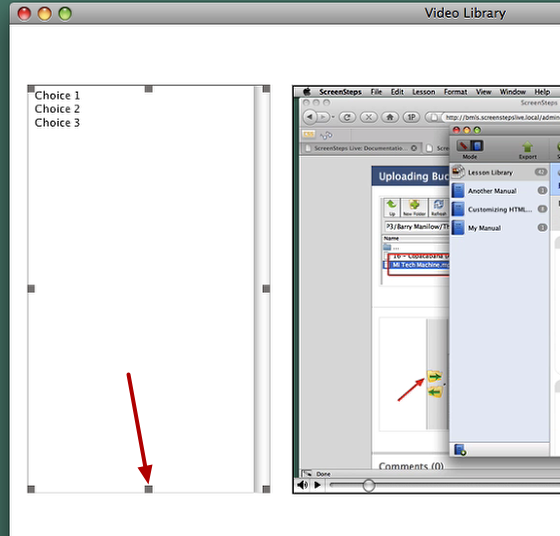 Click on the Player object and reposition it so that there is room for a menu on the left side of the window. Make the window larger if you need to. To make our menu we will use a List Field. 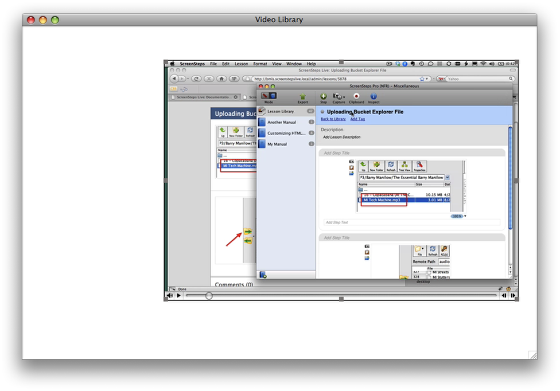 A List Field displays multiple lines of text and allows the user to click on individual lines. 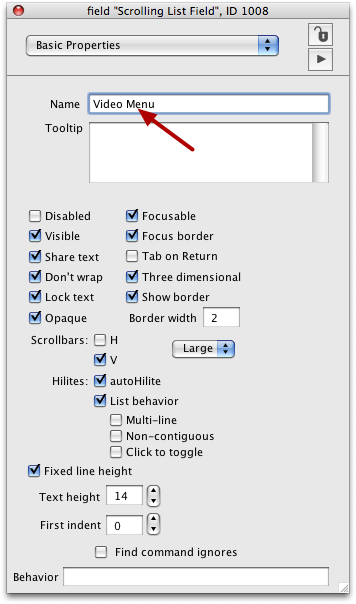 Locate the List Field in the Tools palette (1) and drag it onto the window. A new List Field will appear in the window. Use the selection handles to resize the List Field. 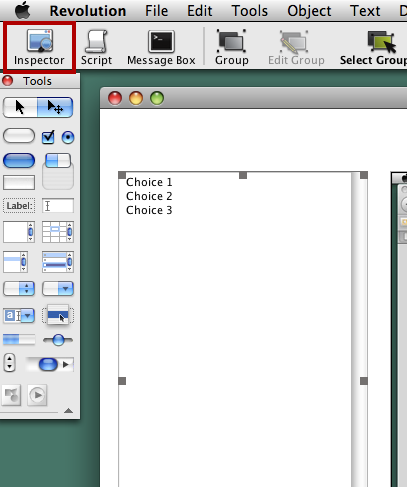 With the List Field selected click on the Inspector button to open the Object Inspector. 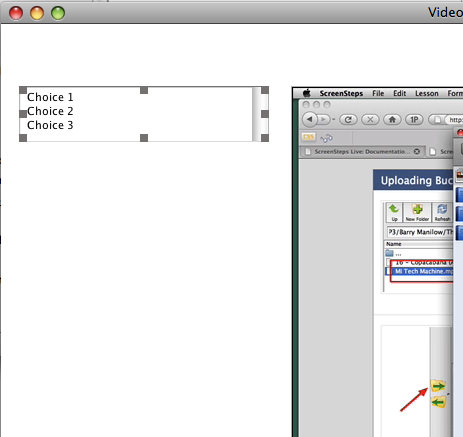 Name the List Field Video Menu.